January: Mansfield MM Feast – such quantities of ale! May: Revived the Hayfield dance and performed it for the first time at Hayfield May Queen festival. 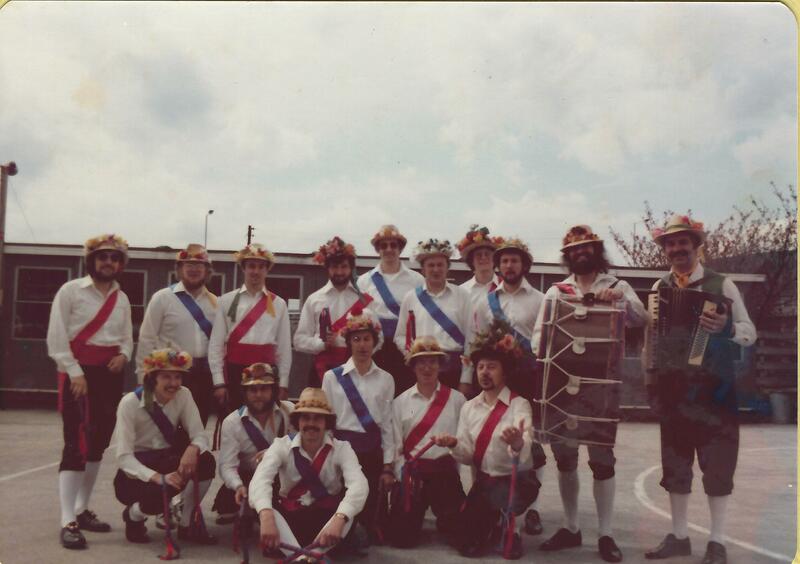 Kingston upon Hull Ring Meeting – Managed to dance on wooden cobbles (sets? 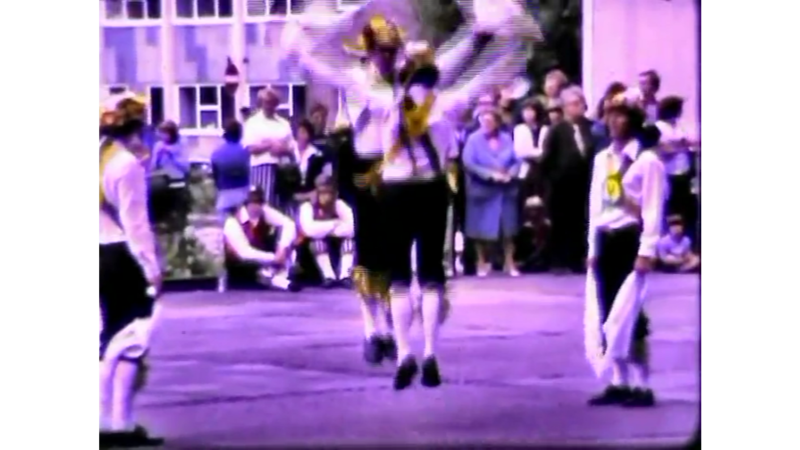 ); police car was blocked in in Hull street where we were dancing and lifted clear by morris men; amateur filmmaker took 8mm film of us practising our Longborough show dance. After experience of sleeping on floor Arthur said he would never stay over at another Ring Meeting!